Hand made papers make a great background. The first picture is silk paper with machine stitch and the second is pulped paper with machine stitch and Powertex. Eau Brink Studio is taking part in the Open Studios event from the 27th May to the 11th June. Whilst you visit subscribe to my email list for a chance to win a £15.00 voucher that will be valid for 1 year. This voucher can be used as part or full payment for any workshop within that 1 year period. Started this picture of my home with Abigail last year during her workshop here at Eau Brink Studio. Thought as she is returning in September this year that I had better finish it. I am very pleased with how it has turned out. Ever wanted to know how to print on fabric? Wondered what to do with your Gelli plate? Like to use a thermafax screen? 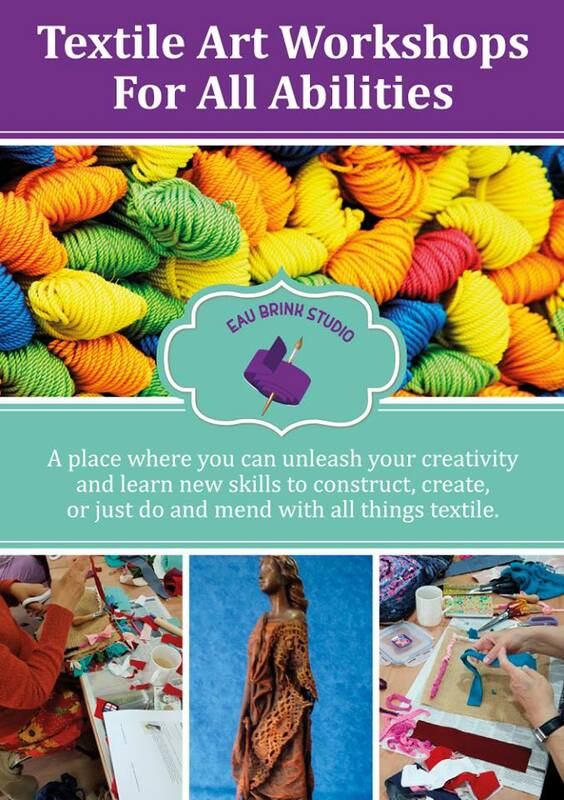 Due to two cancellations I have three spaces available on this exciting 2 day workshop with Alison Hulme. Have you been on a course or show that has opened your eyes to the possibilities of working with textiles, paint, inks, wax, acrylics and other types of mixed media? If the answer is yes, then the Experimental Wednesday Workshop at Eau Brink Studios with Anita O’Neill could give you the boost you need to take your creativity to the next stage. Designed to teach you everything you need to get the results you want from mixed media – this 6 hour course is available for £15.00, plus materials. Introduction phone call – Anita will talk to you before the day to ensure that your chosen technique is covered during the course. Cake and refreshments – bring your own lunch, but Anita bakes her own special cakes to keep you sustained throughout the day. Taking place in our spacious and relaxed Eau Brink Studios, simply bring your own materials or let us know and we’ll provide them for you. Be inspired in this artistic space and share ideas with others on their expressive journey. What to do with the end of a dye bath?? Mix the colours of course and see what happens. That is just what I have been doing today and the results are just amazing. We had the best day in Peterborough on Sunday. 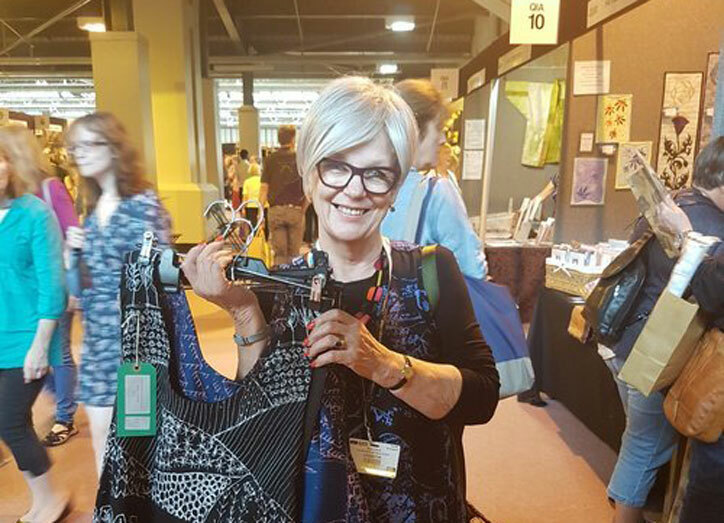 Meeting many people who are like minded and enjoy making crafts which included lace making, needlefelting, Powertex, Hand stitch and machine stitch and of course everything in between. which included threads, beads, needles and much much more. Thank you to all our customers old and new who visited us on Sunday.